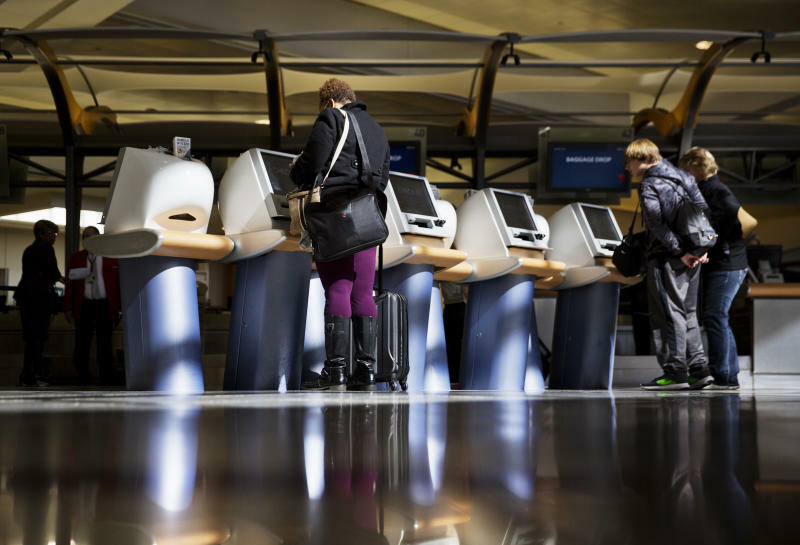 DALLAS (AP) — Major U.S. airlines say they will soon change their ticketing process to give passengers the option of identifying themselves as other than male or female. The gender option on airline sites will soon include choices such "undisclosed" or "unspecified." There could also be the optional title of "Mx." "It's a significant step forward for nonbinary individuals, so they are not faced with a mismatch between their ticketing information and their legal identification," said Beck Bailey of the Human Rights Campaign. The Transportation Security Administration says passengers should use the name, gender and birth date on their government-issued ID. Bailey said he did not know of people with nonbinary identification being kept off planes or trains, but that fear of being stopped added to their stress. United Airlines plans to let people select M for male, F for female, U for undisclosed or X for unspecified from the gender menu when booking a ticket on its website or mobile app, said spokeswoman Andrea Hiller. They will also have the option of picking "Mx." as a title. Hiller said the airline wants to make sure that "all of our customers feel comfortable and welcome no matter how they self-identify." U.S. and international airline trade groups recently approved a new standard to handle customers with "nonbinary" IDs. The standard, which is not mandatory but more like guidance, takes effect June 1.